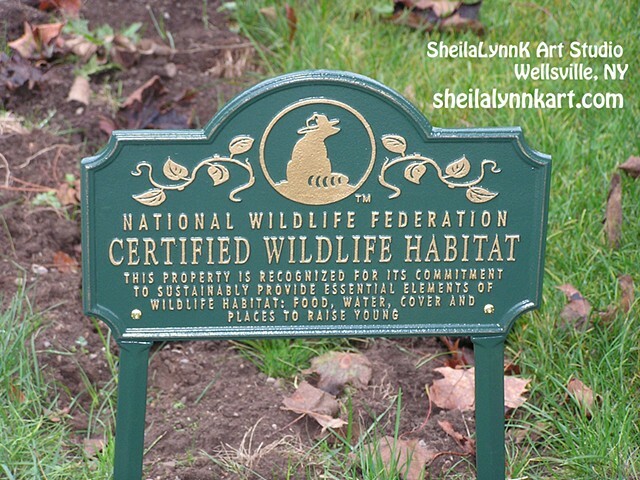 The Creative Wellness Garden at SheilaLynnK Art Studio is a certified Wildlife habitat recognized by the National Wildlife Federation. Would you like to make your Garden a Certified Wildlife Habitat? Before applying, download this checklist to ensure you have met all the requirements for your wildlife garden. You will be amazed at the short amount of time your habitat garden will be filled with life, activity and color of bees, birds, butterflies, and other wildlife!